Promotional Maple Wood Frame.3-1/2" X 5" Maple Wood Frame. 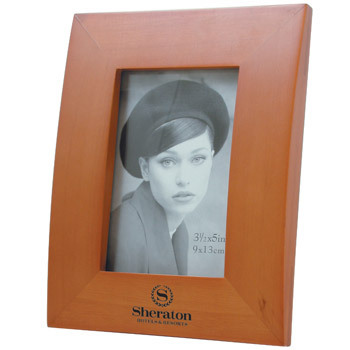 Elegant maple wood finish with black felt back and glass over picture. Fits a 3" x 4-1/2 photograph.